The phased project is part of the largest regeneration project in Ireland; the building of the new town of Ballymun. The existing high rise estate is to be completely re-modelled with the tower blocks and access deck housing replaced by low and medium rise houses arranged in five neighbourhoods. As well as providing new homes for existing residents of the Ballymun flats, affordable housing is being built for the private sector to attract a social mix into the area. A new Main Street will accommodate a mix of retail, commercial and residential accommodation. 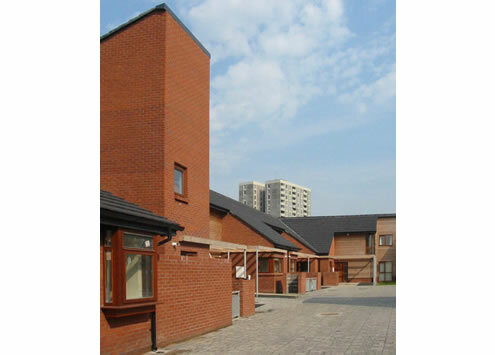 The Ballymun Gateway Housing was the successful entry to an open design competition for high density housing, organised by the Royal Institute of Architects in Ireland (RlAI) in association with Ballymun Regeneration Ltd, the company set up by Dublin Corporation. The 172 unit scheme is the equivalent of 40 units per acre and includes two "gateway" buildings on a 4.5 acre site at the start of the new Main Street in Ballymun. The building types are designed to respond to the scale of the different spaces created. 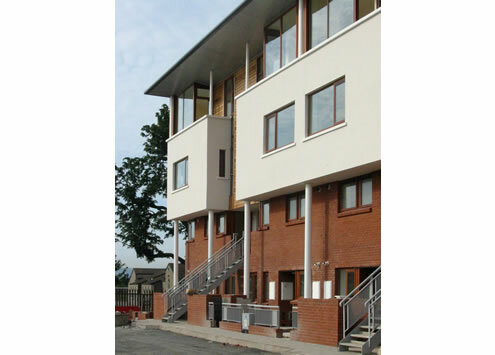 The existing houses of Sillogue are retained with new courtyard housing development and a crescent of town houses border the park. 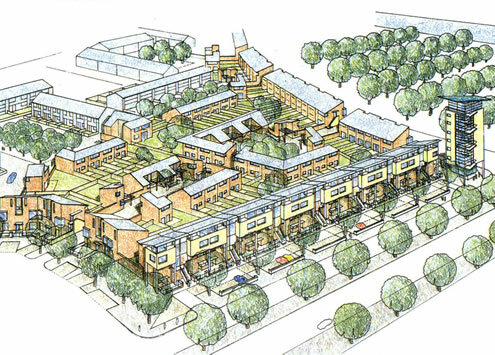 The project is for 126 new houses to integrate with the existing neighbourhood.